I guess it is already that time of the month… No, wait! I don’t mean THAT time of the month, but I’m rather referring to an actually enjoyable time of the month; shopping trip time. Now, I don’t make it a habit to shop as frequently as I wish I did. But if I could sneak in a purchase or two every moth I would consider myself lucky. So, while on a business trip to Marrakech a few weeks ago, I HAD to stop by some of ma favorite shops in the Red City to treat myself. 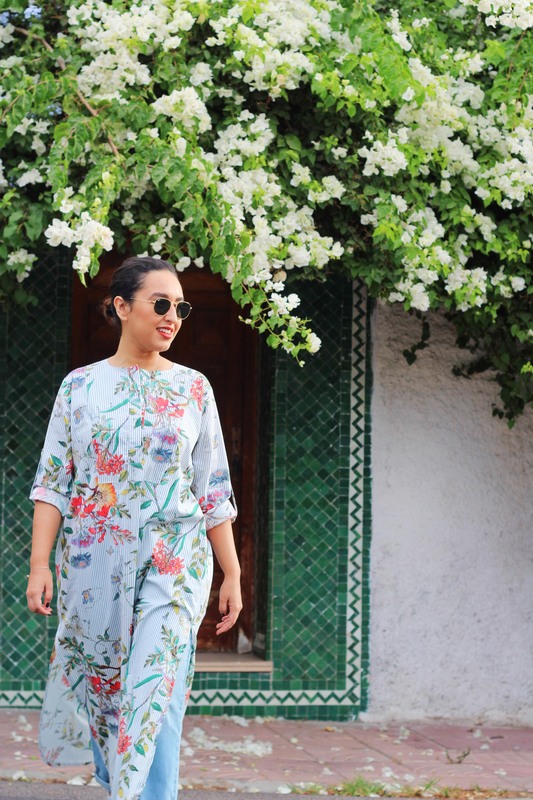 And when I say shop and Marrakech, you should know that I’m only talking about concept stores and shops that carry my favorite fashion staples; Morocco inspired pieces. And I have been so excited about my automnal purchases, that I thought I would share them with you in a Fall Haul. My first stop was my all time favorite shop, KaftanQueen. There have been a few pieces that I have been eyeing on the brand’s Instagram account for a while now. And I am happy to report that I got them! First, is this marine type striped top embellished with embroideries, and that is a perfect mix of lightness and warmth for a Moroccan fall. Still from KaftanQueen, is this versatile floral shirt dress with side slits. The floral print is so relevant for this season thanks to its fall colors. The last, but definitely not least piece in this fall haul is actually from a different store. 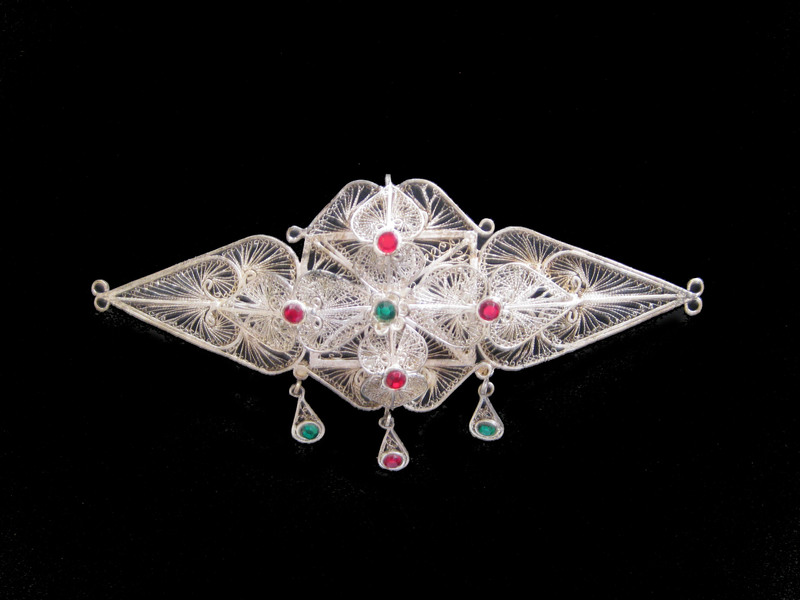 Situated a few steps away from the Musée Yves Saint Laurent, 33 Rue Majorelle is a haven of Moroccan inspired goodies. Among the rich selection of fashion, accessories, and home design pieces I fell in love with this tote bag. Funky yet practical, I just couldn’t not buy it. And that is it for this Fall haul! 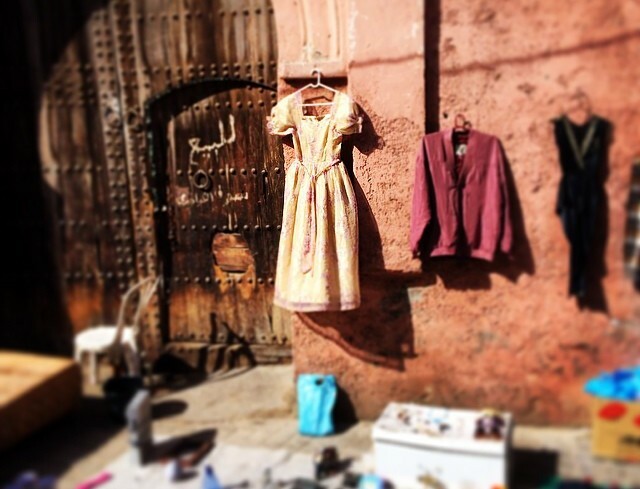 Moroccan Mystery: What Really is a Kaftan? “Marhaba”. 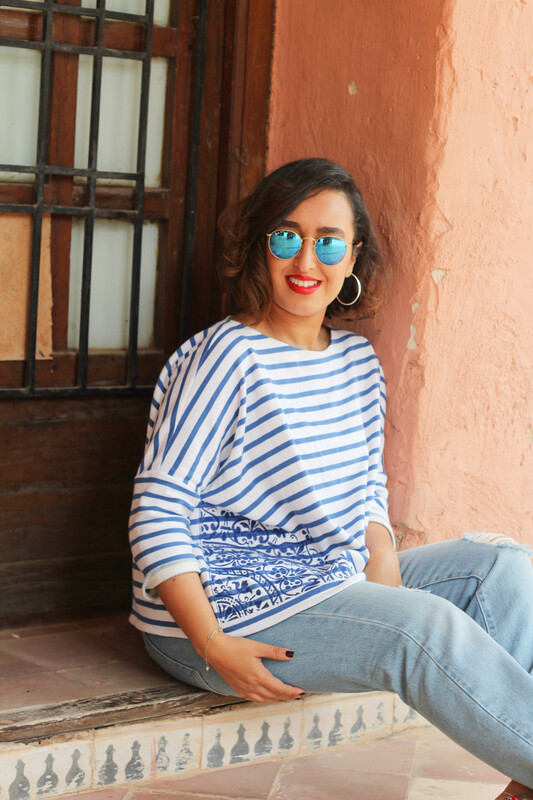 My name is Souad El Mghari, born and raised in the “adorable” Moroccan town of Agadir, Fashion has always been a passion of mine. Even before I was at the age of realizing it. My first memory as a child is arguing with my mom on a school morning about what I should wear. And I should add, I won that argument. From that day on, I dressed myself (and others for that matter). 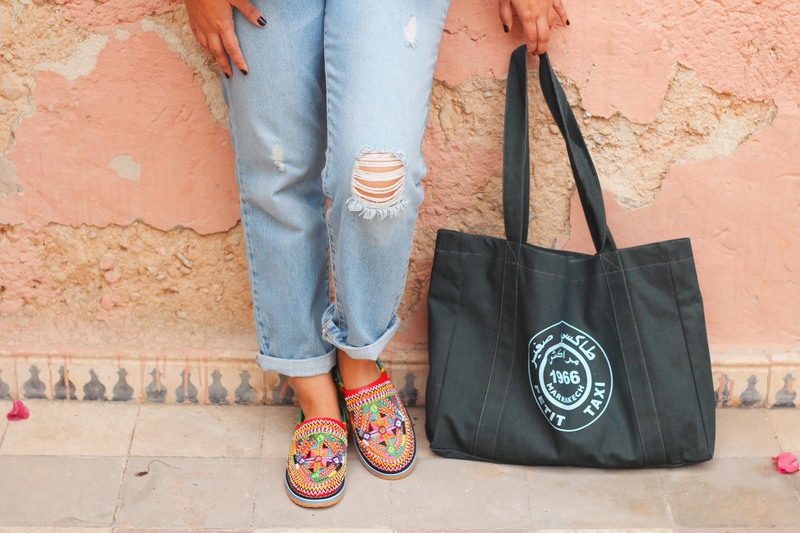 Today, the editor-in-chief of a women’s magazine in Morocco, a freelance stylist, and fashion editor, it was a long way here, and I won’t have had it any other way. 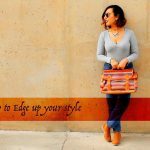 This blog is a sort of journal for my creativity, a reflection of me; my esthetic, interests, take on things that I come across. Be it fashion trends, beauty products, or lifestyle subjects. Hence, its name “Kaftan Mag”. 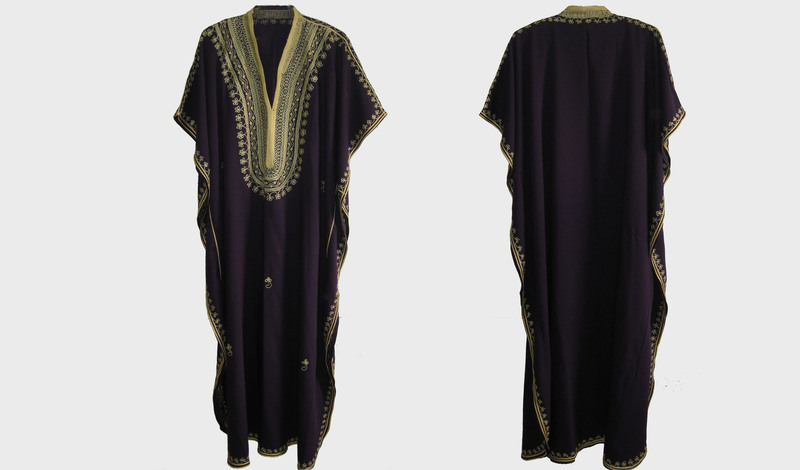 “Kaftan” in hommage to my heritage, my roots, my pride; aka Morocco, and “Mag” as a reflection of my passion and love for media and publishing. Copyright © 2019 DAHZ All Rights Reserved. 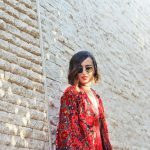 Kaftan Mag.